WHO WAS THERE? WHAT DID THEY PLAY? ( click for more details ). 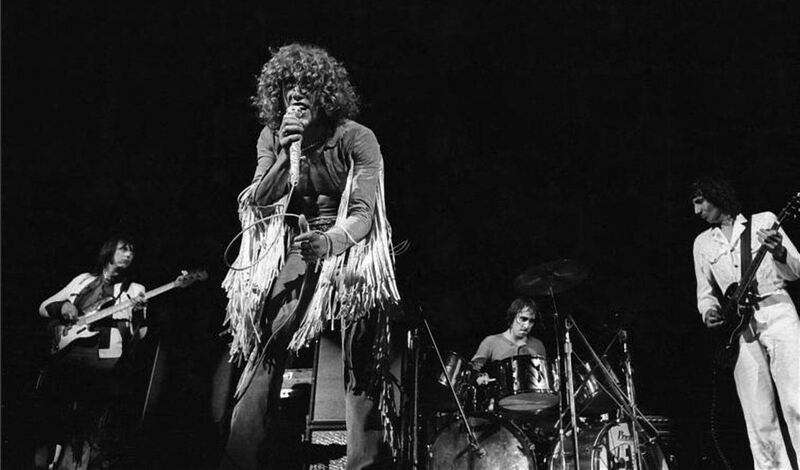 Saturday was the day of the well-known names such as THE GRATEFUL DEAD, JANIS JOPLIN and THE WHO. The first played their worst concert ever. 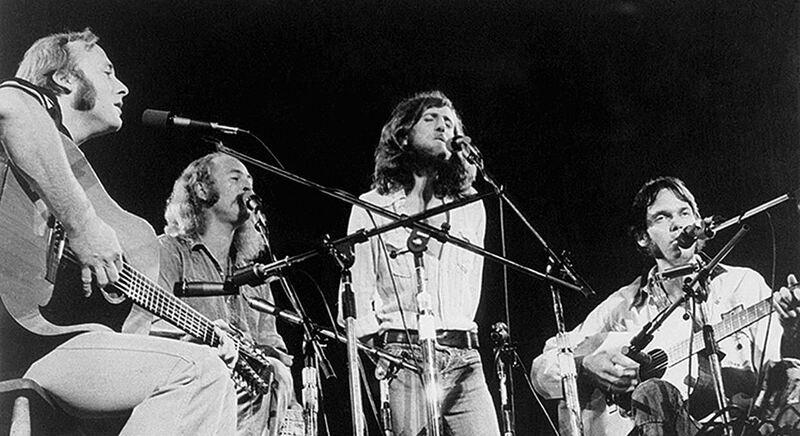 It was raining and the members of the band got electrical shocks continuously because of the enormous water trouble with all the electrical instruments on stage. 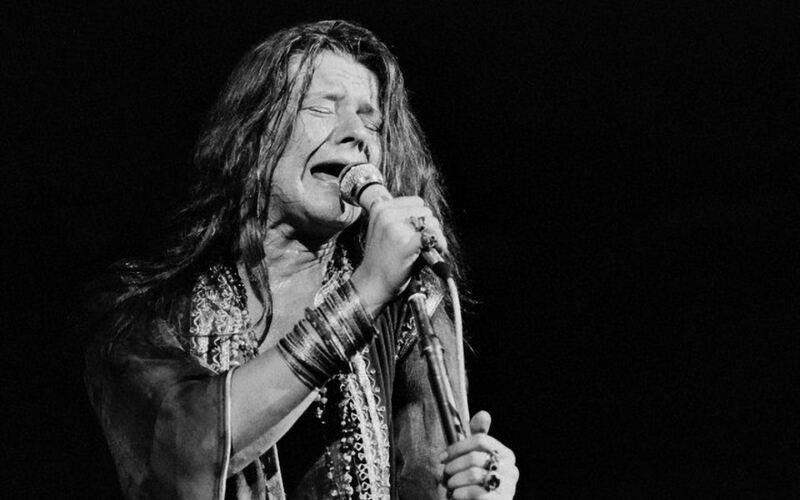 JANIS JOPLIN had one of the highlights of her career that resulted in a definitive confirmation as a rock-icon. For The Who it meant the salvation of the band. 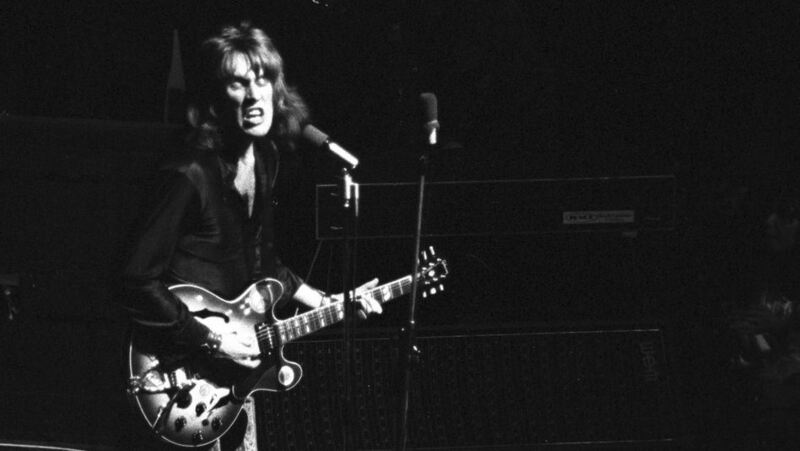 Their recently released rock opera Tommy was after all a major financial disaster and only after the triumph at Woodstock their double album was sold like a hot dog. 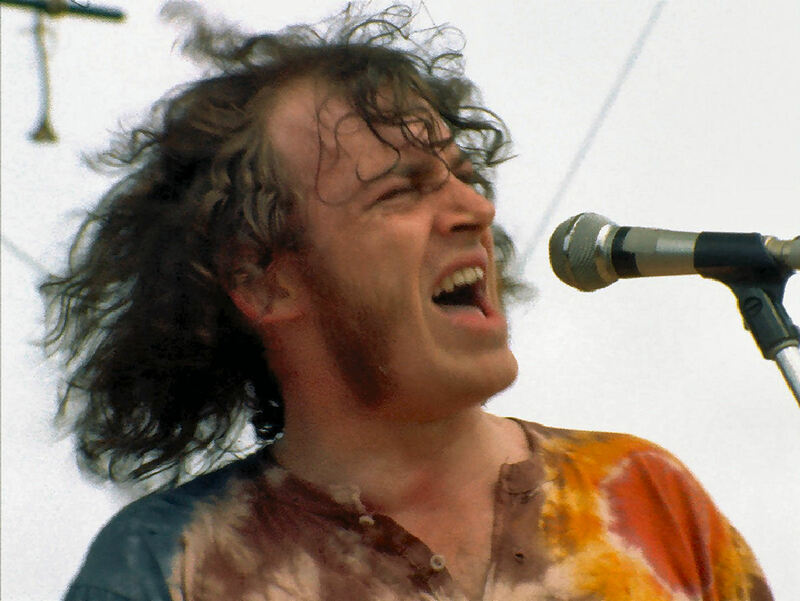 JOE COCKER ( HERE or HERE ) THE BAND, CROSBY, STILLS, NASH & YOUNG, TEN YEARS AFTER and others played on Sunday. As the smashing conclusion there was the breathtaking show of JIMI HENDRIX. 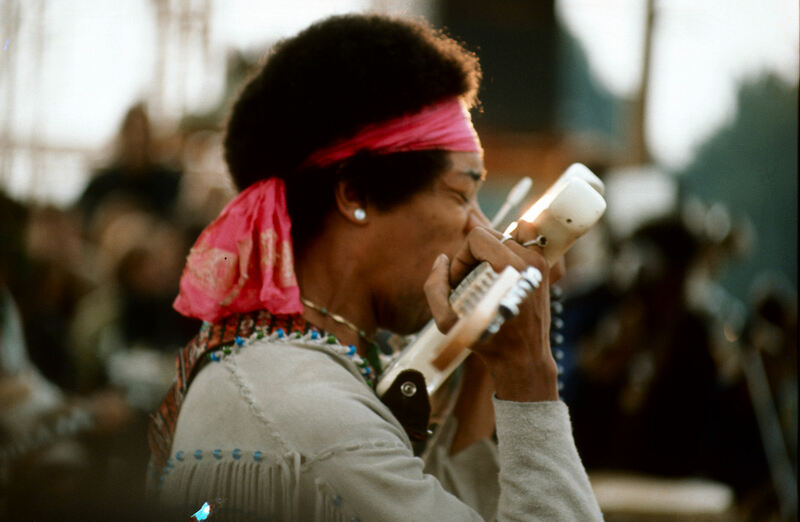 He started his repertoire at nine o'clock in the morning on Monday and made an unforgettable GRAND FINALE in which Hendrix played and teared apart the American National Anthem by playing through it the sound of exploding bombs, jet planes and machine gunfire as his flaming protest against the Vietnam war. The massive exodus started after his last chords. It was only after days that the traffic in Bethel was back to normal again. For the organizers the festival stood for a financial disaster of at least two and a half million dollars. This sum was forked out without blinking the eyes by the Roberts family, that earned back a multiplication of this amount for film rights and many released collection albums in the years after. 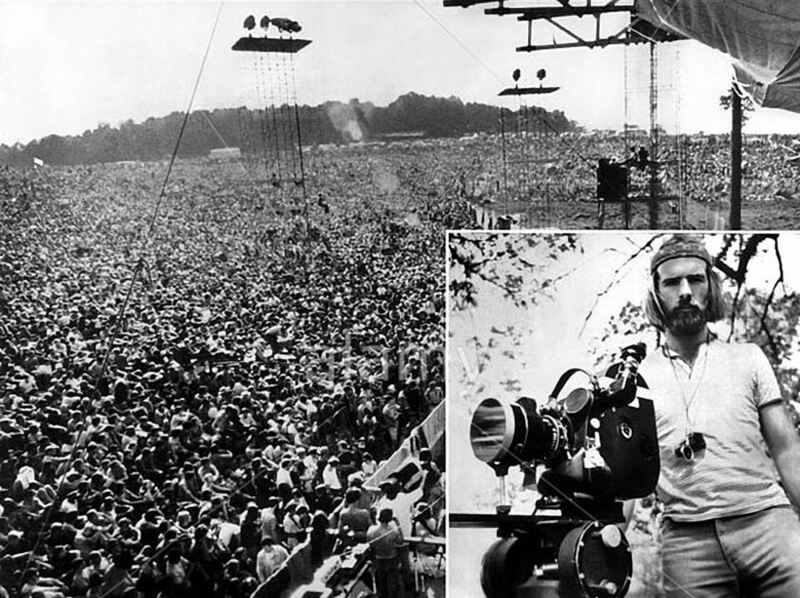 Woodstock also became a magical aura owing to the movie made by MICHAEL WADLEIGH. He rounded up a crew of about 100 from the New York Film scene, including the ( at that time ) unknown movie director MARTIN SCORSESE. Wadleigh couldn't pay them until much later, but he could get them inside the event of the summer. The crew signed on a double-or-nothing basis. If the film made it, they'd get twice regular pay. If the film bombed, they'd lose. Wadleigh's plot ran like this: Woodstock would be a modern-day CANTERBURY TALE, a pilgrimage back to the land. 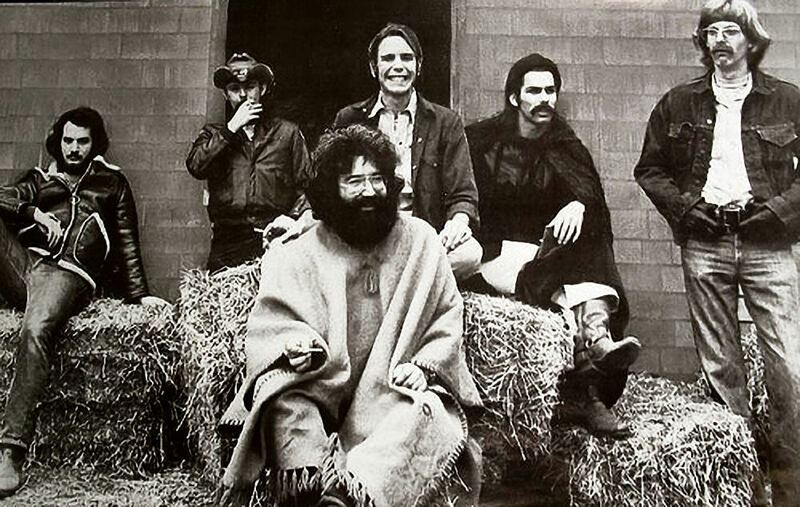 He wanted the film to be as much about the HIPPIES who trekked to Woodstock as about the MUSIC ON STAGE. He wanted the stories of the young people, their feelings about the Vietnam War, about the times. The stories of the townspeople and the chaos. These would make the film, not just the music. The movie meant - together with the triple album - free publicity for the artists for many years. 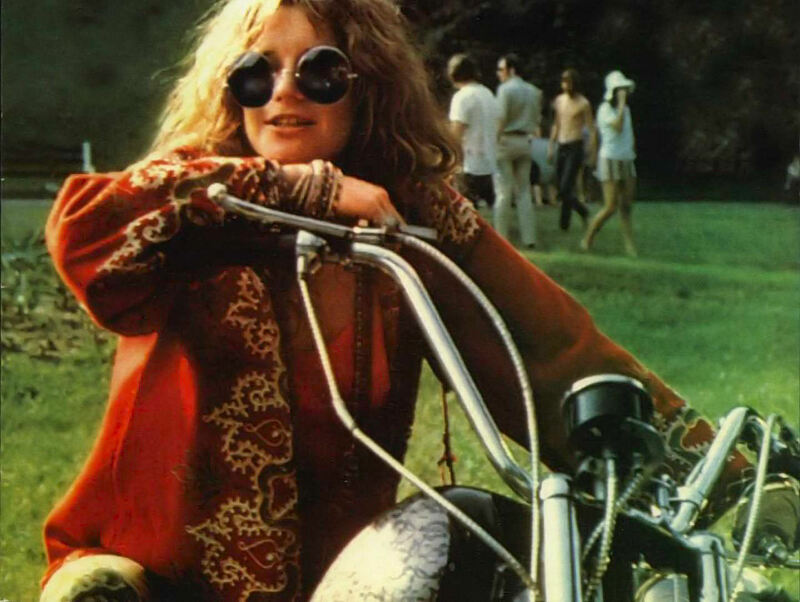 When seeing the movie pictures now one realises that the Summer of Love mainly was a spiritual event, because for the human body this Woodstock weekend was just in one word: exhausting. Despite the rain and the excessive consumption of alcohol and drugs there was no violence at the festival whatsoever. 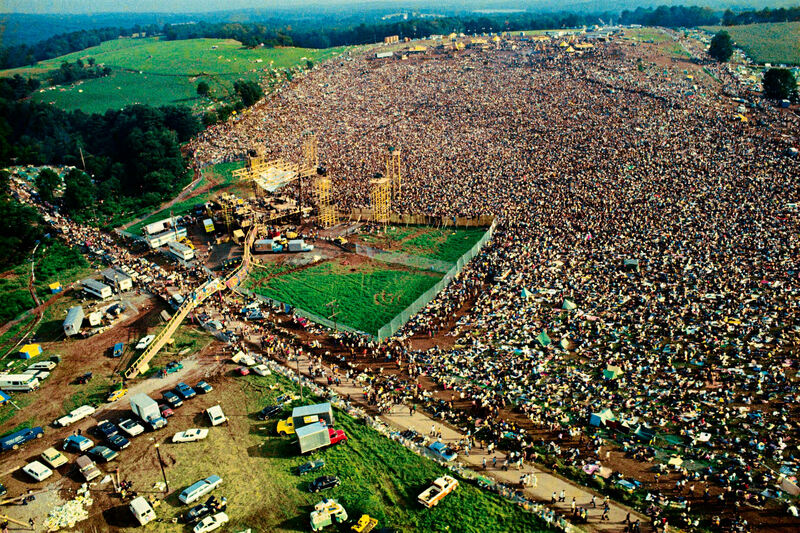 The Woodstock festival was the subculture HIGHLIGHT OF THE SIXTIES and of the hippie era.